With the government shutdown in America now entering its second month, hundreds of thousands of federal workers are being forced to stay at home for the foreseeable future. And while they’re staying at home they’re not getting paid, meaning many are struggling to make ends meet as the country’s longest ever government shutdown continues with no end in sight. 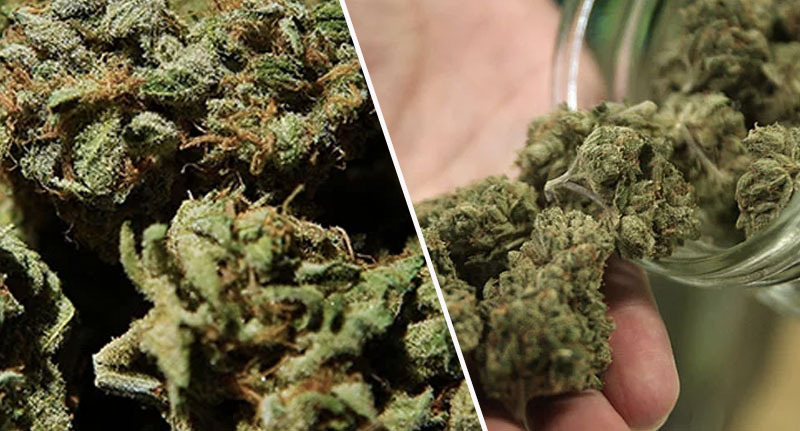 So much so, that one company has decided to lend a helping hand to any federal employee who is not being paid – by offering them free medical weed until the shutdown ends. The Hill reports that BudTrader.com – aka the ‘Craigslist of weed’ – decided to reach out to any government worker who was currently unable to pay for their medical cannabis, offering it to them for free until the shutdown ends. With hundreds of thousands of furloughed workers still not receiving pay, tensions continue to rise over the ongoing shutdown. The Independent reports that a recent poll shows Trump’s disapproval rating has risen to 57 per cent – the highest throughout his entire presidency. And it’s not surprising; with approximately 800,000 federal workers set to miss a second pay check tomorrow (January 25), people are starting to blame the President for his refusal to end the shutdown. In fact, The Hill reports the Senate Majority Leader, Mitch McConnell, blocked legislation yesterday (January 23) that would have reopened most of the government. So it’s heartwarming to know there are still people who will help others out in these difficult times, even if the government isn’t willing to do so. I don’t think federal employees are getting enough love and support. In these tough times, we want to extend the offer of a donation of medical cannabis to any federal worker affected by the shutdown. The company is encouraging federal workers to reach out to them via their website without the worry of anyone finding out, as all communications will be strictly confidential. The company is the latest in a growing list of organisations and/or individuals attempting to help during the chaos caused by the shutdown, while Trump seemingly does nothing but buy a football team some burgers. One man who was fed up of waiting around for Donald Trump to end the government shutdown was Dan Little, who cleaned up a national park bathroom and sent Trump the bill. Because of the shutdown, national parks are becoming damaged beyond repair; with no employees around to look after the parks, visitors are littering, destroying wildlife and causing chaos. But Dan wasn’t going to stand by and let this happen, and his wife – Oregon Governor Kate Brown – took to Twitter to share with her followers her spouse’s attempt to clean up the bathrooms. Not wanting to stand by and wait for the damage in Mt. Hood National Forest to get out of hand, Dan made it his mission to clean up the bathrooms. Not only that, but he thought it only fair to send President Trump the bill. As of yet though, the situation remains the same; the government shutdown continues, entering its second month, and while Trump’s doing nothing to stop it some are finding ways to ease the pain.